A look at the Hold Queue option and why it's good for more than hanging on to your favorite Tetrimino. The Hold Queue mechanic in Tetris gives players the option to hold a Tetrimino (basically save it for later). Over the years, Tetris fans have come to either rely on the Hold Queue, use it only when needed, or ignore it entirely depending on personal preferences and playstyles. If you enjoy using the Hold Queue in Tetris, or you want to know more about it, read on to learn some of the best ways to utilize this awesome Tetris feature! What Does it Mean to Hold a Tetrimino? The Hold Queue allows players to “save” a Tetrimino currently falling through the Matrix and place it off to the left side of the Matrix. 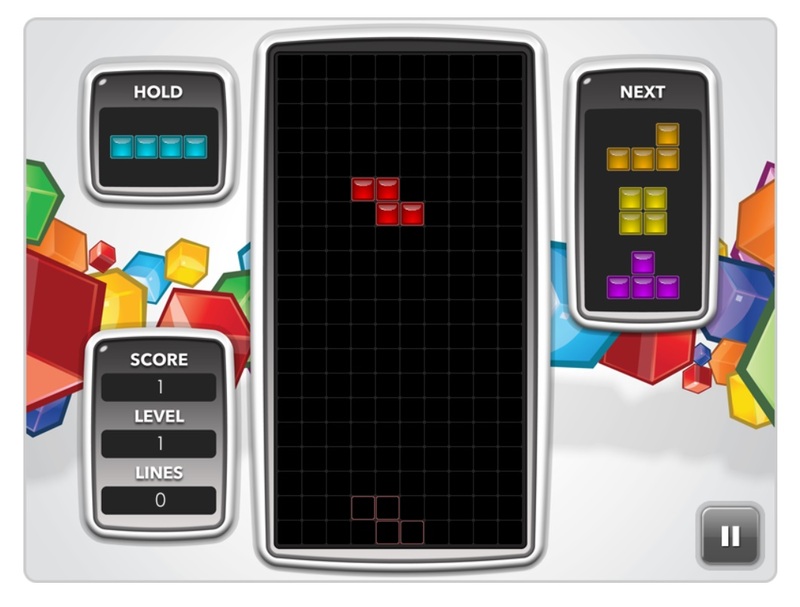 To practice using the Hold Queue in Tetris, head over to the official Tetris website and play a quick round online. To activate the Hold Queue, simply press the ”C” key if you’re using a keyboard or right-click if you’re using a mouse to play the game. Please note that the controls for the Hold Queue may be different depending on which platform you’re playing Tetris on. Once the Tetrimino is in the Hold Queue, you can swap it for any of the following Tetriminos as they fall through the Matrix. In doing so, that Tetrimino will switch places with the one in the Hold Queue. You can use the Hold Queue throughout the game, though after the first Hold, it’s important to remember that you’re essentially swapping the Tetrimino on Hold with whichever Tetrimino falls through your Matrix at the time. Because of this, a bit of strategy and planning should come into play in order to make the most of the Hold Queue mechanic in Tetris. Now that you have the hang of using the Hold Queue in Tetris, it’s time to add a little strategy to the mix. Think about the Tetriminos you hold the most. Do you hold Tetriminos that you currently don’t have a spot for, or do you hold onto your favorite Tetriminos like the I-Tetrimino for Back-to-Back Tetris Line Clears? For many Tetris players, the answer is a bit of both. Obviously you want to try and hold the Tetriminos that work best for your playstyle, but if you encounter a Tetrimino that presents a problem, using the Hold Queue is a great way to avoid ruining your current Tetris stack. You should, however, avoid putting problem Tetriminos on hold. For example, if you enjoy the Tetris Line Clear method where you build up a stack of Tetriminos on either the left or right side, rotate the I-Tetrimino vertically, then Hard Drop it over to the side for a smooth Tetris Line Clear. In this case, you’ll want to hold that Tetrimino exclusively. In doing so, you have your I-Tetrimino ready to go whenever you need it, and you also have it on hold as a backup in case you’re in a multiplayer scenario where your opponent just sent over a wave of Garbage and you need to clear a few lines. With this in mind, the way you use the Hold Queue in Tetris will also change depending on whether you’re playing single-player or multiplayer. When you’re playing multiplayer, you’ll want to use the Hold Queue in order to keep firing off combos and Tetris Line Clears, thus sending Garbage to your opponent and knocking the other player out of the game. In single-player, you’re likely trying to achieve a high score, meaning that you’ll want to hold whichever Tetrimino best fits your playstyle (like the I-Tetrimino). Depending on your Tetris playstyle, you may encounter Tetriminos that don’t fit your current Tetris stack. It’s worth learning how to manipulate the Tetriminos so that even if they don’t fit perfectly, you can still clear lines and maintain your pace. 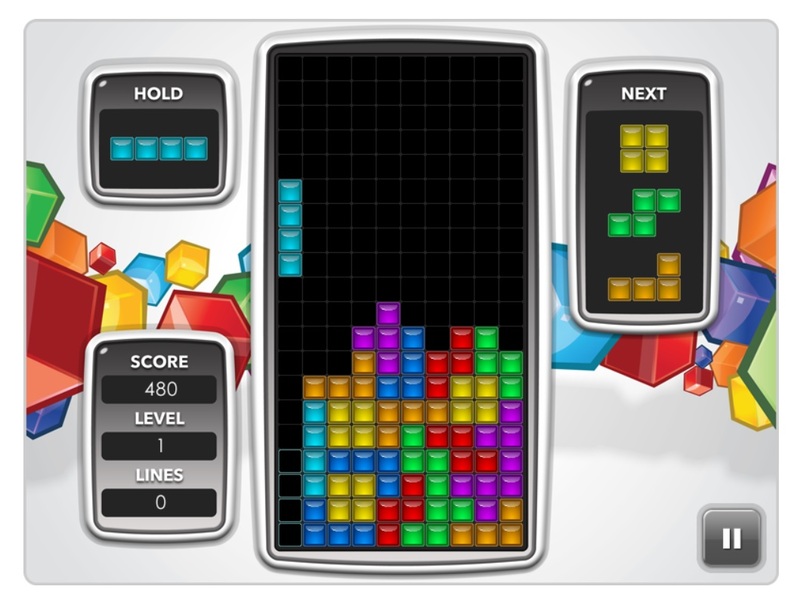 We love using the Hold Queue in Tetris, and we feel that it really enhances the game. To master use of the Hold Queue, you’ll want to make sure you practice using the hold mechanic daily to ensure that you’re using it well. Whether you’re playing Tetris in single player or multiplayer, the Hold Queue can be a valuable tool when it comes to hitting that high score and/or knocking out your opponent! We’ll return with more Tetris tips soon! Looking to try out the Hold Queue for yourself? Click here to play Tetris!